Your building’s curb appeal is only as good as its commercial paint job. While a fresh coat of paint can transform your property into the star of the block, it can also suffer when the temperature drops. In fact, winter can wreak visible havoc on your building’s exterior. During the colder months, you might notice signs of peeling. It doesn’t have to snow or even rain for this to happen—the natural fluctuations in temperature throughout the season cause wood to expand and contract. As this happens, the paint on the surface splits and flakes off. Another issue involving commercial paint stems from ice buildup in the eaves of a rooftop. The ice here melts slowly and flows down the walls, which can cause siding paint to peel. Even condensation inside the building can impact the quality of your exterior paint. For example, water vapor that develops from running water or cooking can collect in the walls. As it condenses, it seeps into the siding and reveals itself through peeling and blistering paint. Low temperatures can also cause commercial paint to fade or appear discolored. Many of these weather-related commercial paint problems can be resolved with a few preliminary steps. First, ensure the ceilings of your building are properly ventilated. Then, prevent condensation-related peeling by inspecting the insulation in crawl spaces, attics, and exterior walls, and close off all openings. 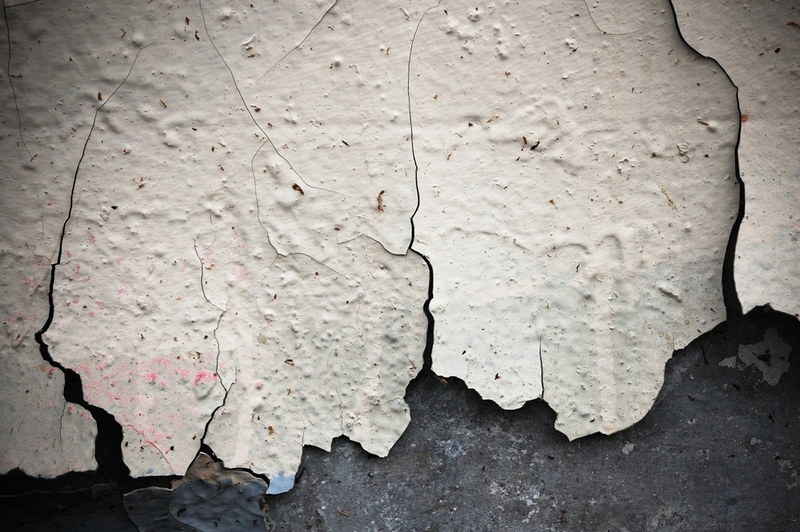 Air leakage through the smallest cracks can increase the likelihood of paint damage. If matters are too far gone, consider hiring a painting contractor. It’s best to schedule this service for the spring when low temperatures and harsh weather patterns have quieted down. A painting company that works on all types of materials will give your building the time and attention it deserves. ProCoat Painting is a leading team of commercial and industrial painters based in Batavia, OH. The company offers over 30 years of experience in steel painting, architectural coatings, and basic commercial painting jobs. Visit the company’s website to learn how these painting contractors can help your building recover after a rough winter, or call (513) 735-2500 for more information.